An affordable, beautifully produced reproduction of the vintage text of Napoleon Hill's original landmark--this is the legendary program, just as it reached readers in 1937. You want to dip into Think and Grow Rich ... you've heard about it from friends and coworkers ... you see people reading it ... and you feel it's time for a change in life. RIGHT HERE. 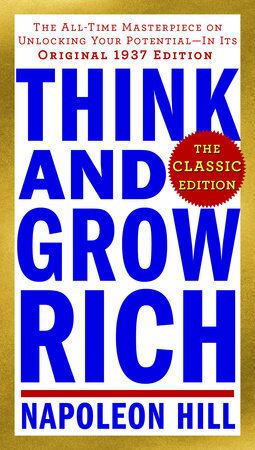 Think and Grow Rich: The Classic Edition is a handsome, reliable, inexpensive, and compact volume that features the full 1937 text, just as it appeared on its first day of publication, before the book lit up millions of lives and became known around the world. This is a volume you will want to read, reread, cherish--and then share with friends and loved ones. And it is priced so affordably that you can do just that. Q: how much is shipping to australia ? A: Yes, the price depends on location and the weight. We have a shipping calculator on the website. Add the items in your cart and then you can see your shipping options.